Sarasota Music Conservatory's Jazz specialist! Our Jazz program is taylored to each student's need and level and includes a complete course of study which is clearly presented in easy-to-understand terms. 1. Improvising - Learn unique knowledge of the rhythmic concepts espoused by Dizzy Gillespie and specialized improvisation exercises which act as catalysts for unlocking certain kinds of rhythmic and tonal behavior in the student's playing as if by magic. 2. Voice Leading - Learn voice leading techniques that yield richly rewarding harmonic textures. Although primarily for pianists, guitarists and bassists it is also an excellent approach for horn players who need to learn the basics of keyboard harmony. 3. Theory - Learn how to analyze tunes properly, how to manipulate the harmony of a tune, how to understand key centers, the principles behind modulation, and many more of the skills necessary as a foundation for improvised music. 4. Piano Technique - Learn weightless and effortless piano techniques used by Oscar Peterson for increased velocity and precision, impeccable touch and resonant tone. 5. Developing The Left Hand For Jazz Piano - This is an actual training program for your left hand that will literally open up the "orchestral" quality of your piano playing. Our book teaches you various textures for the left hand and provides exercises to develop these on an involuntary level. Comes with clearly notated examples so that you are fully aware of how to apply the knowledge in the course to your own jazz playing. 6. The Technique of Creating Harmonic Melody for the Jazz Improviser - Within just a few weeks, this amazing technique will have you improvising on tunes like "Countdown" and "Giant Steps" with ease. One of the most effective approaches around for teaching yourself to play through changes. 7. Systematic Harmonic Substitution - You receive one of the most effective techniques for arriving at substitute chords ever devised. This amazing technique has received rave reviews twice in Contemporary Keyboard magazine, and musicians all over the world have written letters of praise and gratitude for the growth and development they experienced as a result of this concept. A must for pianists, guitarists, arrangers, composers, etc. 8. Functional Re-harmonization - This course will literally revolutionize your ability to re-harmonize any tune and will walk you through step-by-step procedures accompanied by notated examples that will transform any tune you play into several beautiful versions, enabling you to draw on them freely every time you perform. They can be employed as you play from chorus to chorus providing you with some of the most interesting formats to play solos over you will ever encounter. You will find yourself able to put several sets of changes to the same melody line with ease once you digest these principles saving hours of needless toiling over a piece and literally end up with a "new set of ears," enabling you to actually do it by ear in the future with the most astonishing results. 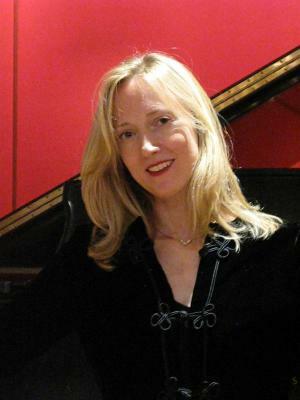 Find Gwen Wahman's bio here or at: www.thejazznetworkworldwide.com/provide/gwenwahman or contact us for more info.